Galen Marek - Custom Jedi Adventure Robe. its still much to correct. Can we have some spoiler tags slapped on there, Mr/Mrs Admin/Mod, sir/ma'am? Have you got permission to remodel HK's Galen? If not, you shouldn't release this. People here are quite big on getting the original author's say on what you're doing (and quite rightly, too!) so make sure HK is ok with it. Comparing it to that, I can't see a lot of new things. 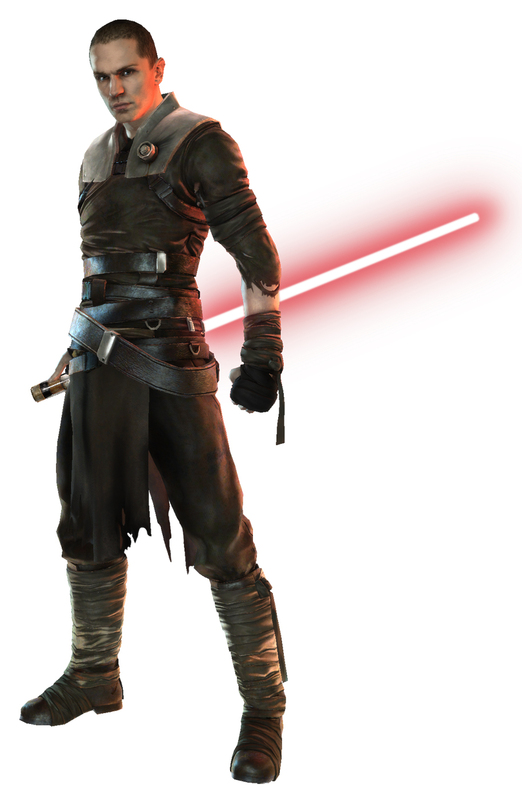 For starters, the Training Gear and Jedi Adventure Robe do not have that much in common as models, so I can't really understand why you're using this model, unless you're recycling HK's textures - see above. There are almost certainly better models to remodel to get what you're after. Jonny2199;5393889Can we have some spoiler tags slapped on there, Mr/Mrs Admin/Mod, sir/ma'am? I started this model 4-5 month ago, and he got finished today. Simply is HellKobra's representation of Secret Apprentice. Installation: ---------------------------------------------------------------------- Simply extract the pk3 to the gamedata/base folder of your Jedi Academy directory. ---------------------------------------------------------------------- BUGS: None known. ---------------------------------------------------------------------- COMMENTS: If you have any ideas for this model, please tell me in the comment section. ---------------------------------------------------------------------- Permission: You can go ahead and edit this model without asking for my permission. Just remember to give me credit in your readme file. ;)" http://jediknight3.filefront.com/file/SecretApprenticeHK;97248 here You Go :D AND With this model WILL BE BRAND NEW TEKSTURES ! :D [/QUOTE]If he used HapSlash's Anakin model as a base, you'll need to follow the crediting requirements in Hap's read-me as well. You sure do have a way with words. Damn, never knew this whole time that HK models were just edits. Why are so many people on their knees with their mouths open when he just edited someone elses model? Because HK made/rehashed up a TFU model. Make what the people want and they will love you. Doesn't matter how you go about it. minilogoguy18;5393946Damn, never knew this whole time that HK models were just edits. Why are so many people on their knees with their mouths open when he just edited someone elses model? It's because they don't know and they don't care. He gave them models they wanted. That's all they cared about. If you want to modify an existing model go with one of Raven's. They have given permission already and you don't have to worry about offending anybody.